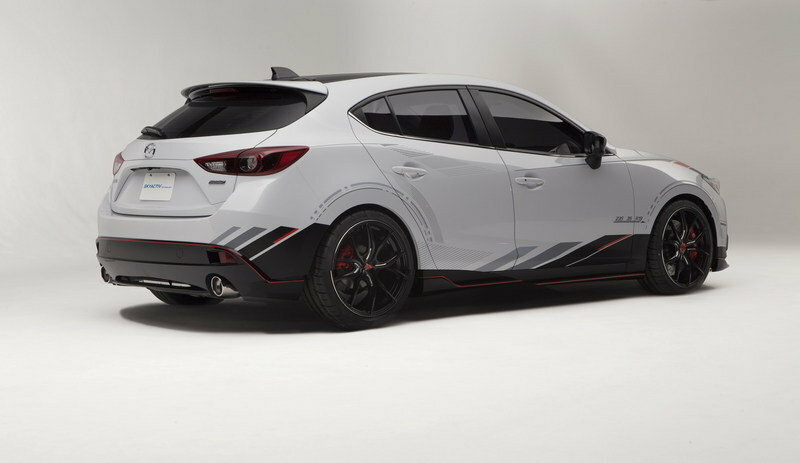 Except of course the MPS and Mazdaspeed versions, the Mazda3 is not an overly exciting car, but for the 2013 SEMA Show the model was completely transform, so it now reveals the unbelievable sporty character of the hatchback. The new Club Sport 3 Concept features a Mazda Design-exclusive Slate White exterior finish combined with a very cool Club Sport paint scheme. This paint scheme includes Metallic Silver lines and Glossy Light Gray and matte Black Mica patterns and some Vibrant Red vinyl across the lines. Under its hood, the Club Sport 3 concept gets a SKYACTIV-G 2.5-liter gasoline engine combined with a six-speed manual transmission borrowed from the CX-5 SUV with 20-percent shorter gear ratios. In order to be worthy of its Club Sport name, the concept was equipped with a Wavetrac helical limited-slip differential for additional torque and a CUSCO coil-over kit. Keeping this hot hatch glued to the road is a set of Rays 57 Motorsport G07FXX 20-inch wheels wrapped in Bridgestone Potenza RE-11 tires, measuring 235/35R19. Doing the stopping is a set of Brembo two-piece rotors, measuring 380-by-32 mm squeezed by six-pot calipers. Lastly, a Racing Beat performance exhaust helps improves the engine’s sound. Click past the jump to read more about the Mazda Club Sport 3 Concept. The new Club Sport 3 Concept features an aggressive aero kit that includes a Brilliant Black front, rear and side diffusers, and a new rear spoiler. This kit is available for all the Mazda3 models worldwide. 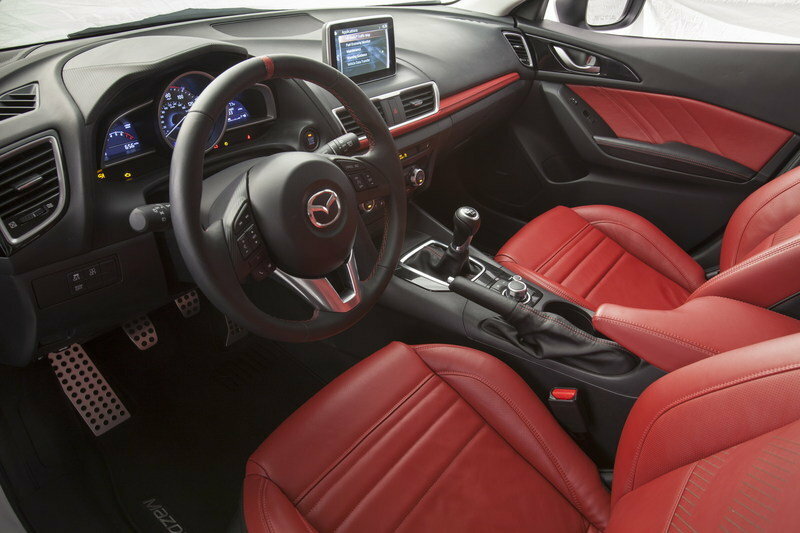 The interior features a sleek combination of red and black leather. Red finds its way on the seat trim, door panel inserts, center console, IP decor and a steering wheel stripe. 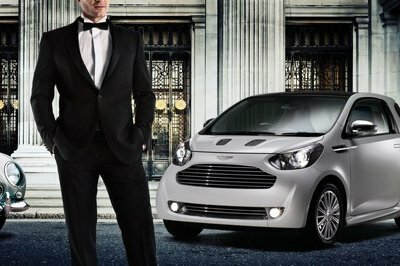 Premium Black was used for the steering wheel, armrest, emergency brake and shifter boot. The front seats are wrapped in perforated leather and they feature a "3" logo on the backrest. 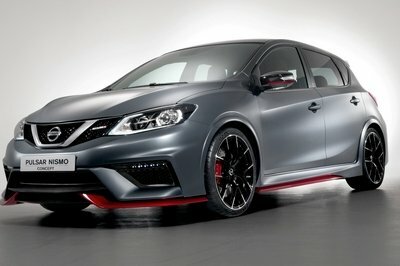 The Club Sport 3 Concept features many similarities with its Mazda6 big brother but with a few extra robust features. With a Mazda Design-exclusive Slate White exterior finish, this five-door is furnished with a more ambitious Club Sport paint scheme. 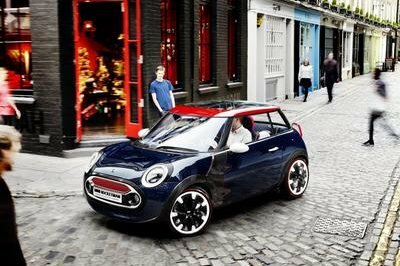 Metallic Silver lines trace along the arches of the wheels, the base of the side skirts and the contours of the doors and C-pillars. Glossy Light Gray and matte Black Mica mimic some of these patterns but with louder, wider direction. Vibrant Red vinyl follows along with thin lines, providing contrasting texture and dynamic flow. The only other non-painted surfaces are the dramatic alpha and numeric Black vinyl call-outs of the fuel door, tire size and SKYACTIV® TECHNOLOGY pronounced across the hood. Equipped with a SKYACTIV-G 2.5-liter gasoline engine, the Club Sport 3 features a modified SKYACTIV-Drive six-speed manual transmission derived from Mazda’s CX-5 compact SUV. 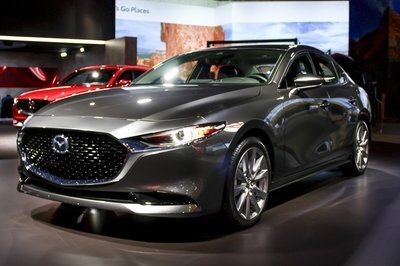 Using a short 4.7:1 final drive ratio, the gearing is 20 percent shorter than in a SKYACTIV-G 2.0-liter-equipped Mazda3. The Club Sport 3 also utilizes a Wavetrac® helical limited-slip differential for additional torque. 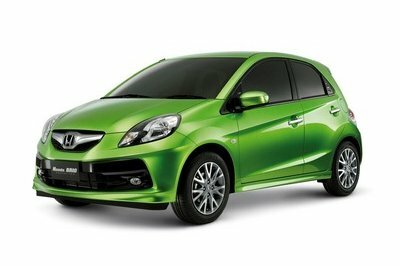 Added performance features include a CUSCO coilover kit, a Racing Beat performance exhaust and Brembo two-piece, six-piston 380x32 drilled brake rotors. Rays 57 Motorsport G07FXX 20-inch Black and Machining-colored 10-spoke wheels are packaged with Bridgestone Potenza™ RE-11 235/35R19 road-gripping performance tires. Not to be outdone, the Club Sport 3’s interior offers its own "pop" with Red aniline leather throughout – seat trim, door panel inserts, center console, IP decor and a steering wheel stripe. Premium Black leather is reserved for the steering wheel, arm rest, emergency brake and shifter boot. The front seats feature perforated leather within the seat bolsters with a diffusing line pattern in the seat back creating a "3," identical to the Metallic Silver numeral painted onto the vehicle’s driver’s side door. Stitching patterns also spared no expense with trapezoidal Momo-inspired contrast-Red stitching on the steering wheel and double-stitched tonal deck seams on the doors, seats and IP. The steering wheel features a single Red aniline leather strip at the minimalist but top-of-mind high-noon position.